As regular readers know, I strive to write objective, independent reviews of restaurants in Amsterdam – which means that you’ll never find paid reviews on this site. With that in mind, BookDinners is an independent restaurant reservation system and social platform that does not charge commission for reservations to the restaurants it features. The nice people at BookDinners approached me about a paid partnership as part of their network of foodies who provide visitors with inspiration for their next meal out. Since I’m never paid by restaurants themselves, I need to find other ways to fund my restaurant habit, so this seemed like a win-win: BookDinners is not promoting any individual restaurant; it’s providing a platform whereby people can see which restaurants fit their preferences and where their friends recommend eating so they can make an informed decision about where to book. In short, it seemed to fit well within Amsterdam Foodie’s mission. But more important than what I think is what your own friends think. BookDinners allows you to create your own profile, set preferences, mark favourites, and see where your friends are recommending. Its algorithms focus on your preferences and your friends’ recommendations so as to reduce the risk of “fake” reviews that can be misleading for guests. Many Amsterdam restaurants are bookable via the site, but as BookDinners is run by the restaurant industry for the restaurant industry, fees are kept to a minimum so that the restaurateurs themselves aren’t left out of pocket. And when I say “by the restaurant industry”, I mean it’s run by Koninklijke Horeca Nederland (roughly translated as the royal Dutch association of hotels, restaurants and caterers). 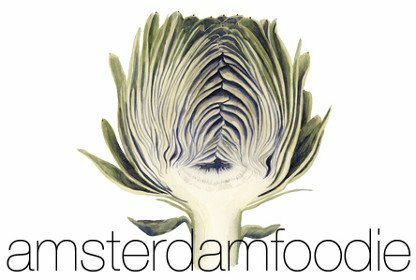 To check it out and create your own profile, visit bookdinners.nl. On a side note: I’ve been supporting BookDinners for a few months already, and when I posted a link to their site on my Facebook page I was challenged on the fact that the website is in Dutch. I recognise that since my site is in English, not all my readers understand Dutch. However, Amsterdam Foodie is written as much for locals as it is for visitors so I have no problem recommending a Dutch website. If you would rather not use it because of the language or indeed any other reason, there are of course many other ways to find and book restaurants that I fully support.